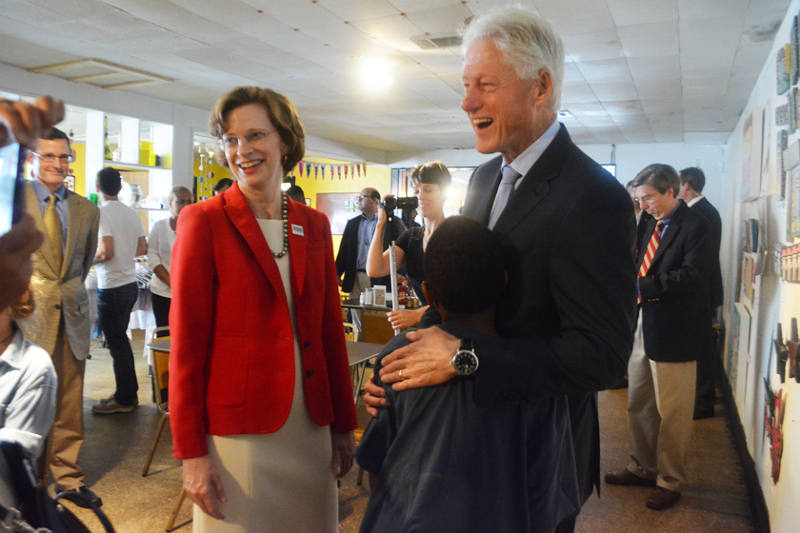 Bill Clinton Visits Home grown GA! 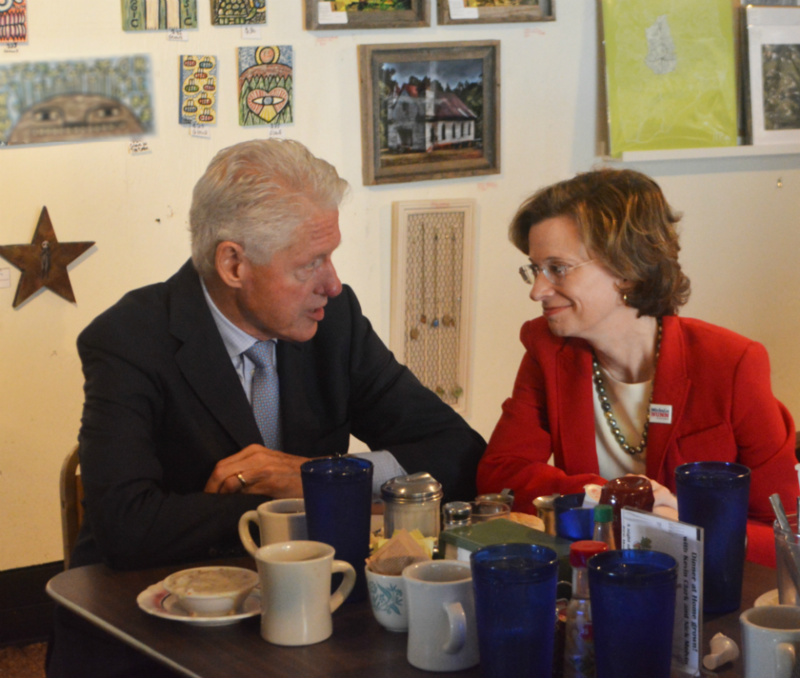 In town to campaign for Senate candidate Michelle Nunn, 42nd President of the United States and good ol' Southern boy Bill Clinton stopped by Home Grown in Reynoldstown Saturday morning. 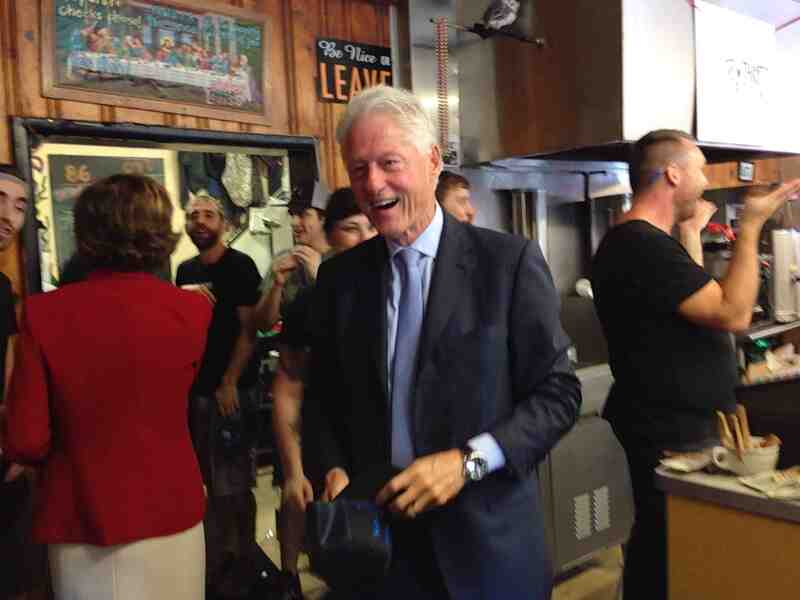 Sticking to a vegan diet, Clinton didn't order off the comfort food-heavy menu, according to an employee at the restaurant. The staff sent a plate of biscuits to the table, but he again chose not to indulge. That's a showing of remarkable restraint, and quite a contrast to the on-location-eating strategy of President Barack Obama, who chowed down on barbecue and more in Texas earlier this summer.